Everyone at Dengie is proud of our connection with the land and we are always mindful that we need to grow our crops as sympathetically as possible both for the benefit of our customers and to ensure the future sustainability of what we do. Our farmers are family farmers and they want to ensure there is a viable future for generations to come. UFAS and FEMAS are voluntary schemes developed in response to demand for improved feed and food safety. Approval under the schemes provides independent verification that a company is meeting its legal obligations under general feed law. Dengie are approved under both UFAS and FEMAS as we grow and produce our own raw material. The schemes are based on HACCP principles, an internationally recognized system of hazard analysis pioneered by space agency NASA. Over recent years HACCP has become a central requirement of Food and Feed safety legislation. 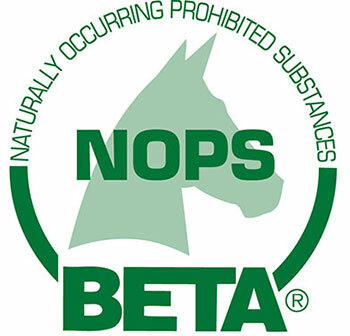 In 2009 the British Equestrian Trade Association introduced a code of practice relating to naturally occurring prohibited substances (NOPS). The aim of the code of practice is to identify those manufacturers who demonstrate due diligence in reducing the risk of contamination with NOPS. Due to the nature of some NOPS it is no longer possible to offer a guarantee that a product is free from them. Those companies that do are unlikely to be fully aware of the potential risks of contamination. Dengie are approved under the NOPS scheme. If you require more information about NOPS then please contact us on 0845 345 5115 or send us an e-mail.